With all of the pre-publicity for Man of Steel becoming seemingly omnipresent (to the same degree as The Great Gatsby), my mind is instantly cast back to a little seen, tender-hearted teen movie from the mid-90s named Angus. The lead character, in many ways, is the antithesis of everyone's favourite son of Krypton. 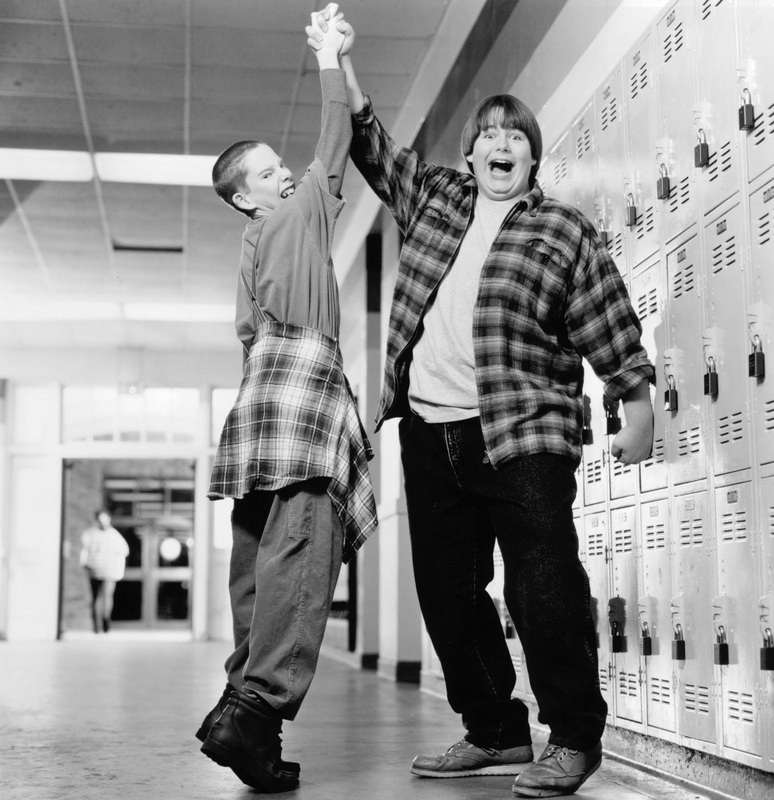 Angus Bethune, the film's titular hero, is not a nerd who solely needs to change clothes and remove glasses to become a high-achiever, handsome and popular - no matter what he does, Angus (Charlie Talbert) will remain an overweight nerd, social outcast and vulnerable teen. There's no shedding of his identity when he feels like it unlike Clark Kent and, no matter how hard he wishes with every fiber of his being or how many new haircuts he tries, Angus will always be Angus; an obese geek. Yet, there's a side to Angus that the jocks and the popular kids don't see - he may be low down their hierarchy but he's smart, tough, stoic and resilient, much more than the sum of his hefty weight. This film tells Angus' story of attempting to accept himself for who he is, not who he aspires or desires to be, and it's an epic battle much more taxing than facing Lex Luthor or any other cartoon villain (or, as displayed in this witty infographic, the high cost of living for superheroes). And whilst we've all been teenagers who may have experienced self doubt, confusion, hatred and fear, few of us know what it's like to be a flying Superhero alien; Angus is a much more universal, human experience portrayed with an exquisite warmth. Angus has many problems in life. Aside from his family, who he doesn't think understand him, and an arch nemesis in the form of football team captain Rick Sanford (a young James Van Der Beek), his main weakness is how much his heart yearns unconditionally for Melissa LeFerve; a lady who just so happens to date the bullying Rick. Angus, a smitten teen, earnestly confides to his similarly outcast, nerdy best friend Troy that he "get(s) this pain in my stomach whenever I see her". He dreams of an improbable day in which Melissa will not just notice him but perhaps, against all odds, see him in the same way too. Fate may be on his side; whilst Melissa was always expected to be nominated as prom Queen, the King is unexpectedly announced as Angus. It soon emerges that Rick and his friends have rigged the results with the sole aim of humiliating our portly protagonist. In the coming weeks, in the build up to the Winter Dance, Angus has to reach inside himself and show reserve and bottle he never knew he had to prepare for what could potentially be the most embarrassing event of his life. "Superman isn't brave. He's smart, handsome, even decent. But he's not brave... Superman is indestructible, and you can't be brave if you're indestructible. It's people like you and your mother. People who are different, and can be crushed and know it. Yet they keep on going out there every time." With this sage advice, his grandfather captures the heart of this film perfectly - it's not a movie about changing appearances to please others and it's not even about winning the heart of your dream girl against all odds. 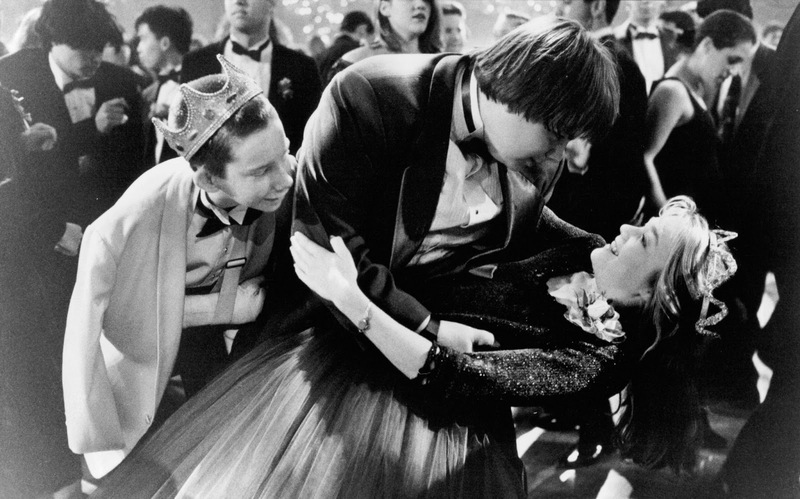 When Angus' title scenes have rolled, it's of little importance whether or not the Prom King and Queen's hearts belong to each other; this is not the battle that is being thought here. Unlike Superman, who hides behind false identities, Angus is a delightful tale of accepting and understanding that it's okay to be different - not everyone can be a Rick Sanford, or a handsome, decent superhero. And that's okay. Why would anyone choose to be Superman when they could be Angus?